To see mud in your dream indicates that you will have some diseases but they will be in order as soon as possible. To be in mud in your dream signifies that events which bother you in your office will occur, you shouldn't be preoccupied with these incidents too much. To dream that you are walking on mud signifies that you will show an increase in your business life and you will climb the corporate ladder. To see muddy water in your dream indicates that an organization which you will have with your friends will be cancelled. However, the cancellation of this organization will be good for you. To see a muddy road in your dream may represent that your relationship with your partner or spouse will be better as a result of some conversations. To dream that you play with mud suggests that there are some questions regarding marriage in your mind. You will find solutions to these questions and throw the whole bad thoughts. To see that you lay mud on your body in your dream implies that you will enter into a stressful period, you should keep your nerves under control in these times and control yourself. To dream that you swim in mud denotes that a new person will join your family and your family ties will be stronger with the participation of this person. To drink muddy water in your dream implies that there are always people who protect you. To see of eating mud in your dream may symbolizes problems within your family but these problems will be all right soon. 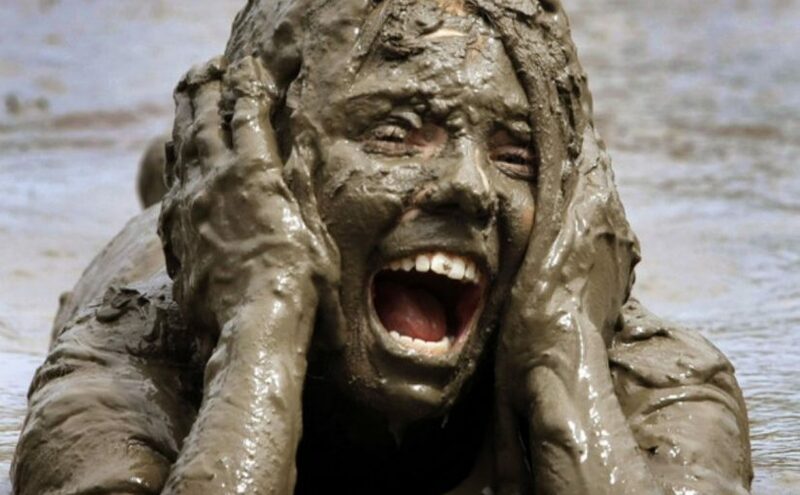 To see of falling into mud in your dream indicates that your health problems will be in order and this condition will continue for a long time regularly. To see your car in mud in your dream implies that you will help one of your friends deliberately and you will be closer to this person. To dream that you drop one of your things into mud signifies that bad events knocked you out but you will overcome these troubles with the help of a person.